Live comfortably for an affordable price in the beautiful district of Bodden Town. http://www.bellegardens.ky/wp-content/uploads/2019/02/Info-Page-3-Bed-1107SF-2019.pdfAffordable living in Bodden Town. Affordability at high standards, Belle Garden is selling homes fully equipped with stainless steel appliances on a 5000 SF Lot (+/-). In a convenient location for ease of access to your needs. We are near to the school, pharmacy, police station, clinic, fruit market, convenient store and so much more! A safe neighborhood for children to grow up and families to blossom. Ever lived close to the pharmacy, school, fruit market, police station, clinic and more all at once? Our homes are conveniently located 5 minutes or less away from them all! No more rushing out to pick up last minute items from the grocery that’s 15 minutes away, simply run to a near by convenient store with your sweats and flip flops! Each yard is a 5000 SF Lots (+/-). With your home sitting on this, it gives great space for family living and entertaining on the Driveway or yard! 3 Bedroom is 1107 sq.ft in size, consisting of 3 bedrooms and 2 full bathrooms. Our 2 Bedroom is a 894 sq.ft home with 2 full bathrooms. Each home is fully equipped with a whirlpool washer & dryer. The Kitchen beautifully consist of stainless steel appliances and overhead microwave. Driveway is made for 2 cars, connecting to front porch for your convenience. Our homes are built full block walls around, shingled roofs and aluminum windows with trim. Kitchen cabinets are beautifully made from solid wood. You will get a 1000 gal septic tank and fully central air house. Here you will find our 3 bedroom floor plan. 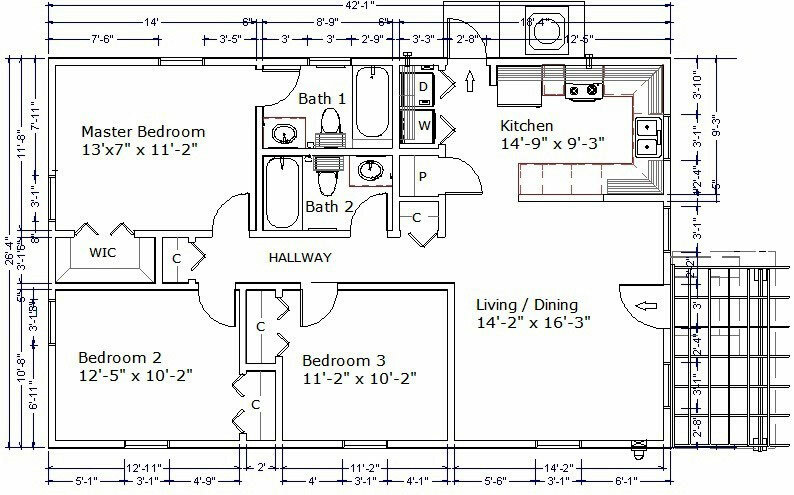 Our 1107 square foot homes are stocked with lots of storage, 3 separate closets other then the bedrooms for storing your items that you prefer unseen. The ceiling also has a drop ladder for your convenience with lots of storage in the insulated ceiling, great for storing traveling luggage and items only used every now and then. 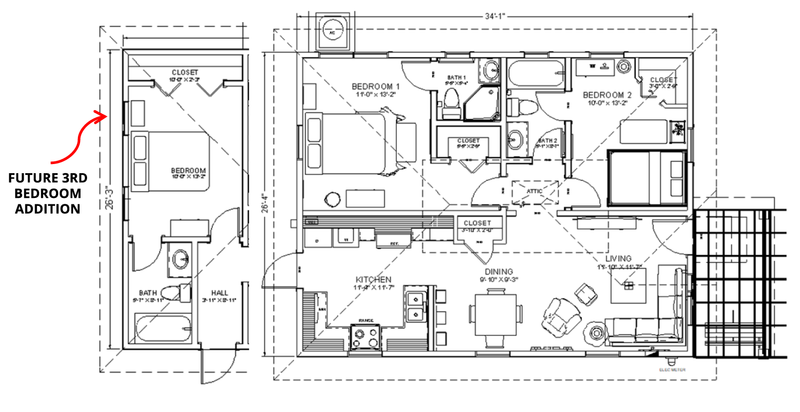 Here you will find our 2 bedroom floor plan. 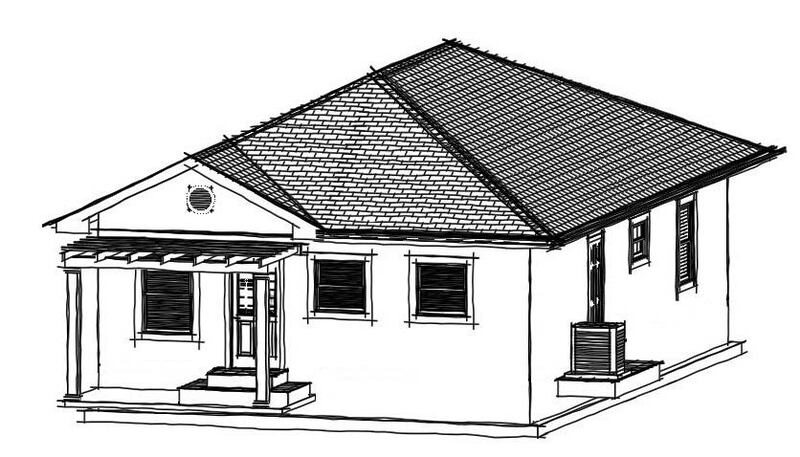 Our 894 squarefoot home consist of 2 bedrooms and 2 full bath, with the option to expand in the future. The ceiling also has a drop ladder for your convenience with lots of storage in the insulated ceiling, great for storing traveling luggage and items only used every now and then. Keep Updated With What’s Happening! Our feed will consist of what’s happening with our development, such as when we break ground to completion and more. CLICK HERE TO FIND OUT CUC SAVING TIPS! Enjoy, and start saving! At last, Belle Garden Phase 2 on it's way! Belle Garden breaks ground for phase 2 today! Turn Left onto Anton Bodden Dr. (Back Road) (next to the BT Police Station, Turn Right onto Belford Dr. go to the end and Turn Right Continue down to Frost Street, Turn Right to “Belle Gardens”. Contact us today to arrange a viewing or find out more details.